A 12" flour tortilla filled with rice, black or refried beans, crema, melted cheese and choice of one filling. With double soft corn tortilla topped with onion and cilantro. A carnitas burrito covered with salsa roja, melted cheese, avocado salsa and cream. Good delivery time and great portions for the price. Also the good is good for the price! I love this place, just wish theyd add drinks and desserts to the menu! Great restaurant, and friendly staff. Very good food, I love this place. As someone from Southern California, Im a bit of a taco snob but I thought this place was great! The al pastor and carne asada tacos were both very good and reasonably priced. The guacamole was fine, but not great. But these are definitely the best street style tacos Ive had since leaving California. My favorite weekend breakfast place when I feel lazy. Food is simple, affordable and always on point. Always incredibly fast service and always correct! I love this place and recommend it to everyone. Since 2005 we have been offering Mexican antojitos, tacos & guisados in Bushwick, NY, inspired in our family recipes from Mexico. We guarantee the most authentic Mexican cuisine as well as the freshness of all our ingredients. 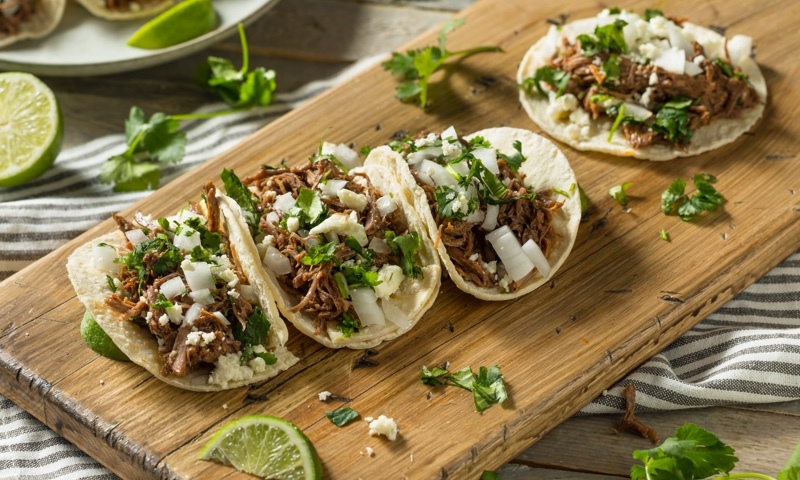 Whether you're craving a quick bite or looking to treat yourself to a delicious meal, you can now order your Taqueria El Fogon #2 favorites for takeout or delivery.